Prepare to walk the plank!! So me hearties, we have run aground at the next item on our list: salmon on a plank. And it’s easy and beautiful…smooth seas ahead. Arrgghh!! Annnnnnd that’s probably enough pirate speak. The main prep for this dish involves acquiring a plank. I’ve seen planks for sale at cooking stores, but got a tip from a friend that you can just get a scrap of cedar cut at your local lumberyard. I tried to do this, but was ignored by men working (but that’s a rant for another time) I actually found pre-cut planks in the grilling section at that lumber store (insert rant here). 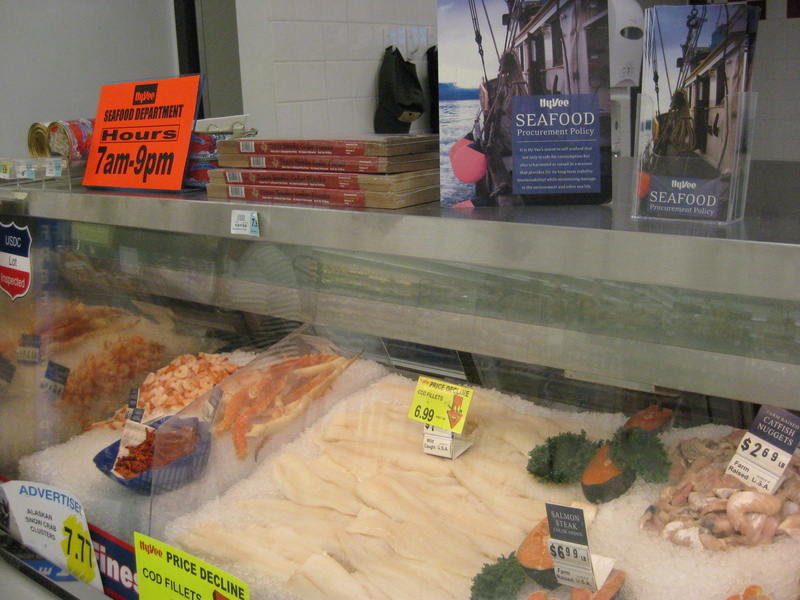 Of course after this ordeal, I realized they actually sell planks AT the seafood counter of my local flyover grocery. Which is impressive. See them stacked on top of the case? Your plank gets soaked in water for at least 30 minutes before use. This keeps it from charring too much on the grill. Check out this watery maiden! 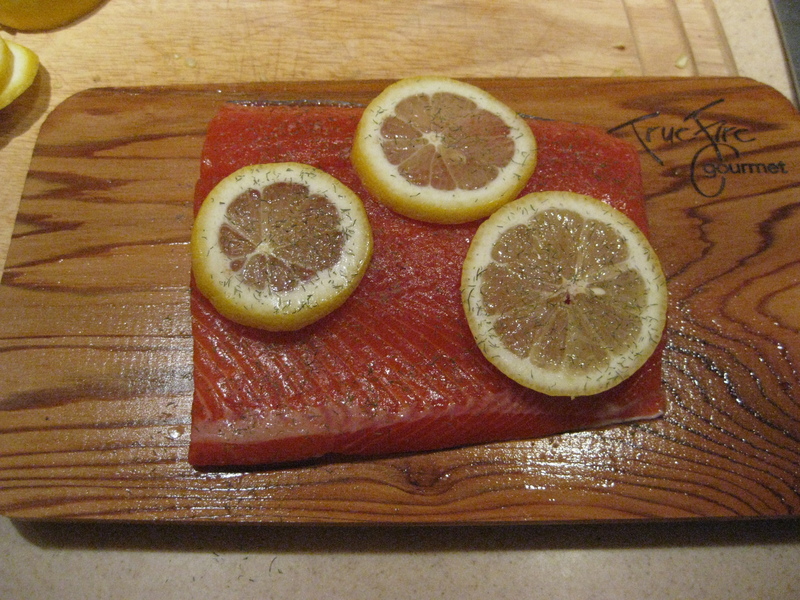 Now the salmon just gets a little sprinkle of salt and pepper and then gets placed, skin side down on the plank. I added a little dill and a couple lemon slices as well. Note: I forgot until AFTER that the acid from the lemons will actually “cook” the salmon (think ceviche) so adding a little lemon at the end works too. 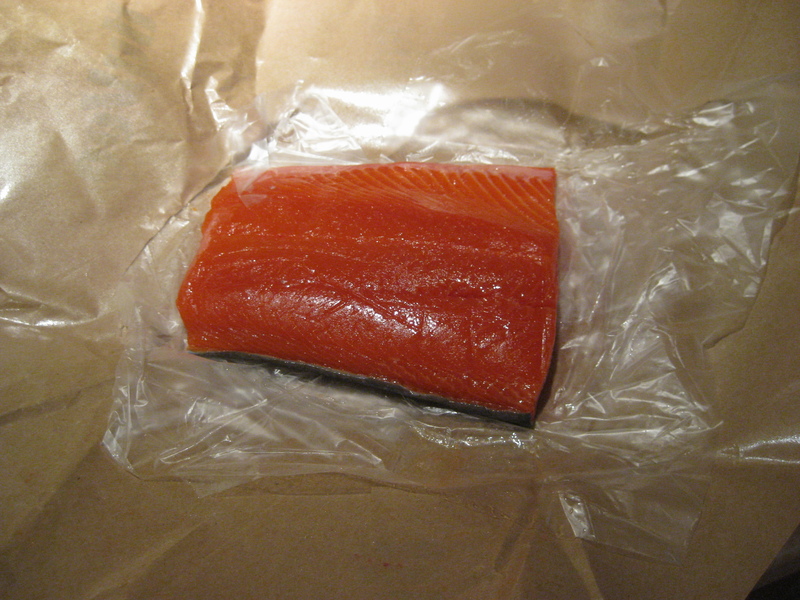 Salmon doesn’t take long to cook either….maybe 10 minutes or so. Just until the fish is opaque. All in all: simple and sweet. 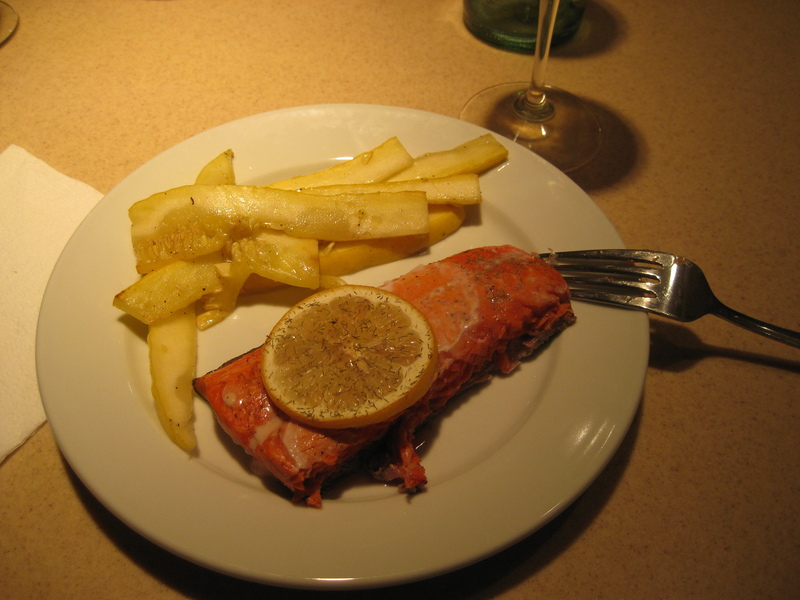 Salmon tastes like nothing else and prepared like this, it tastes smooth and buttery and with the soft smokiness of the cedar. Delicious! And how gorgeous would this be to serve for a dinner party!? And by “dinner party” I mean Handsome Husband and myself. 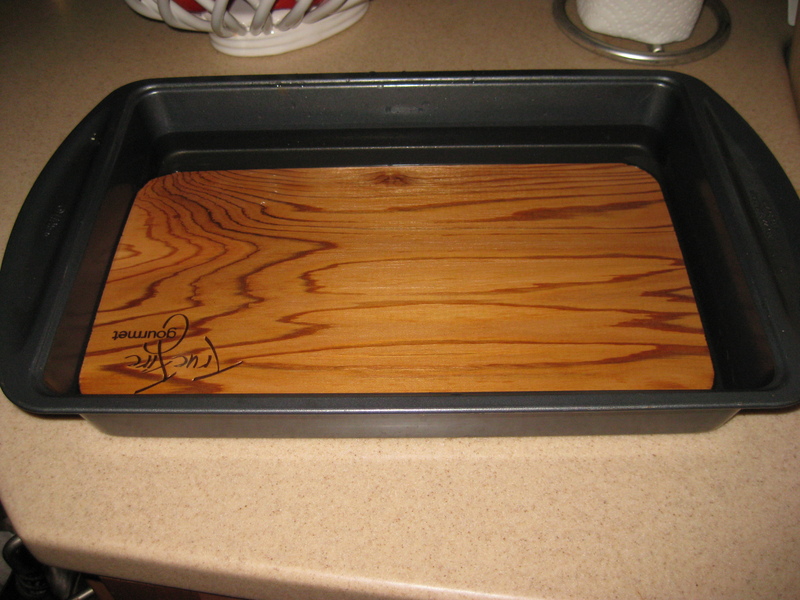 UNFORESEEN BONUS: Soaking the cedar plank made the whole kitchen smell like cedar. 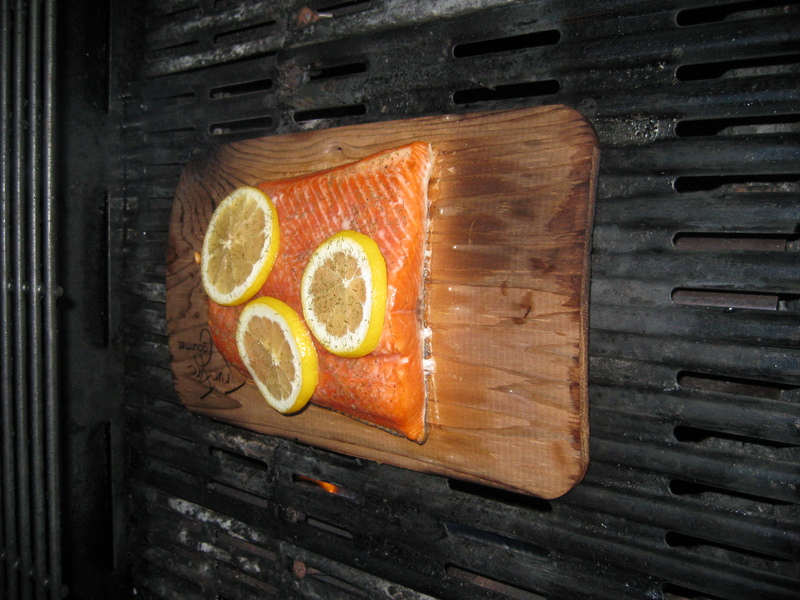 Then bringing the slightly charred plank into the house from the grill only added to that woodsy scent. Seriously…there are not many things that smell better than cedar. Except maybe the smell of adventure as you glide over the open sea in search of buried treasure. Ahoy!!! 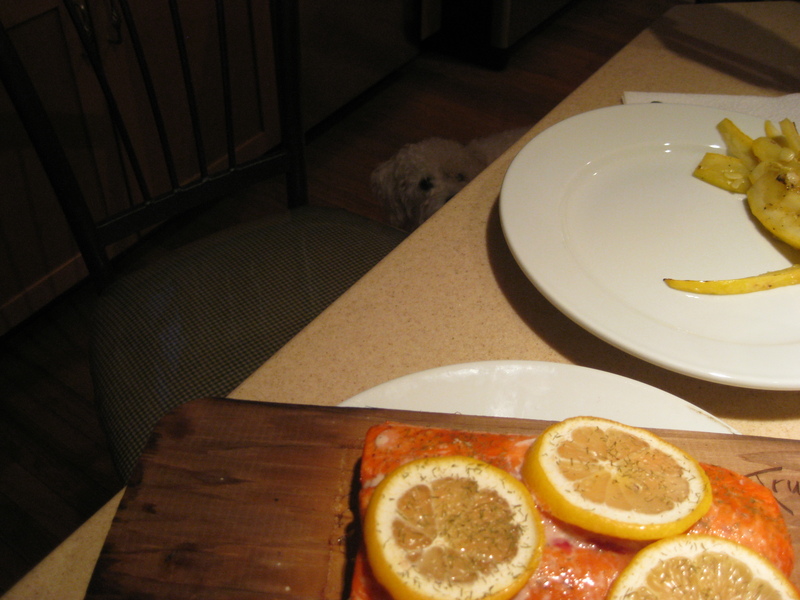 This entry was posted in 30 Before 30 and tagged grilling, pirates, plank, salmon. Bookmark the permalink. ARRRRRRRRRRGH!!!! Straight up real deal Holyfield awesomeness going on here. A certain restaurant I reap the leftover benefits of pairs Salmon and a molasses sauce–the result: amazing! Have you considered? I know first hand the salmon is put in a smoker to a little bit crisp up the molasses and add a new taste to the salmon. Godspeed!